A business' brand value is calculated as the estimated enterprise value the business would sell for in an arms-length transaction, less the enterprise value a typical industry peer of equal size would sell for. Nike was first named as Blue Ribbon Sports. It changed its name in 1978 to Nike, who is the Greek goddess of victory. 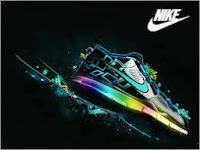 Nike is the global leader with almost 20% of athletic footwear market, and its stock price has outperformed the Dow Jones U.S. Footwear index by 50% during the past five years. Its first endorser was Ilie Nastase, a tennis star back in the 1970s from Romania. Another widely seen sports channel,telecasts various sports activities from all parts of the world. It gives importance to each and every sport equally and gives it viewers a good quality entertainment. ESPN will collect more than $6 billion in cable fees in 2013 and commands the highest monthly subscriber fee ($5.50) of any network on basic cable. Adida can trace its roots, however, to 1924 when the Gebruder Dassler Schuhfabrik was founded by Adolf and his brother, Rudolf. The two split up in 1949, however, with Rudolf establishing Puma. At the 2012 London Summer Olympics, Adidas kitted over 5,000 athletes, and 30% of the medals captured were by athletes wearing the brand. Current athletes on its roster include Lionel Messi, Kaka, Lucas Moura, David Beckham, Derrick Rose and Dwight Howard. Sky Sports is one of the most widely seen channels in the world. It gives live coverage of almost all sports played throughout the world. In 2012, there were over nine million viewers for Sky Sports F1 channel's inaugural season, and 90% of Sky's sports rights are secured through 2015. Under Armour's footwear revenue (12% of total revenue) is expected to more than double this year to $290 million, from $127 million in 2010. It is a sport equipments producing brand and it is one of the fastest growing brands in the world. The equipments are been used by many people throughout the world. The founder J.W. Foster first wanted to create spiked shoes for his son. Later his grandsons Joe and Jeff, renamed the company as Reebok meaning a type of antelope of Africa. Reebok has been creating a potentially powerful niche by adding sponsorship deals with tough fitness groups and events like CrossFit and Spartan Race in an attempt to revive its brand.Reebok has been a subsidiary of Adidas since 2005. This is yet another famous sports brand of the world, especially in America. The most-watched regional sports network in the U.S. was valued at $3.8 billion in 2012 when News Corp. bought a partial stake in the highly profitable RSN. The New England Sports Network (NESN) is owned by the Boston Red Sox and Boston Bruins and delivered to over 4 million homes throughout the six-state New England region and nationally as NESN National. NESN commands third-highest monthly subscriber fee ($3.56) of any RSN and telecasts of Boston Red Sox games averaged the fifth-highest rating (7.3) in baseball in 2013. Major League Baseball Advanced Media is the interactive media and Internet company, which is worth roughly $6 billion and is equally owned by MLB's 30 individual club teams, adding about $200 million in value to every franchise. It gives live online streaming audio and video of every game as well as the most complete real-time baseball information. This is a media channel that telecasts the sports related activities and International matches being played in all corners of the world. It telecasts about 400 live games in a year.MSG's New York Rangers telecasts averaged a 1.65 rating for the 2012-13 regular seasons, up 67% versus 2011-12, and second only to 1994-95.